New iTunes won't appear at March event? Apple has an Apple Watch event scheduled for March, and it's been speculated that the company might debut its new streaming music service at the same time. But the latest report, from 9to5Mac, says otherwise. According to the Apple news site, the streaming service - which will reportedly combine iTunes and Beats Music - won't debut officially until Apple's WWDC event in June. The site says the service will be announced at the summer event, likely during the keynote on June 8, as a beta for iOS 8.4 or as part of iOS 9. This info comes not from sources within Apple, but from alleged music industry sources, so take it with an even bigger grain of salt than you normally would. 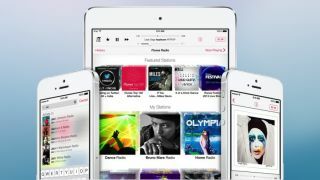 When the service does debut, though, it might take the form of a completely revamped iTunes.